Nobel laureate Paul Krugman stirred the ire and indignation of Austria’s political and financial establishment by merely stating the obvious. While speaking at the Foreign Press Club, Krugman responded to a query regarding Austria’s exposure to flimsy debt in over-leveraged Eastern Europe. The Princeton University economics professor and New York Times columnist had the audacity to provide a factual response. As Paul Krugman restated in his blog, ” I responded by saying what everyone knows: Austrian lending to Eastern Europe is off the charts compared with anyone else’s, and that means some serious risk given that emerging Europe is experiencing the mother of all currency crises.” Hell knows no fury than an economist stating the obvious. No concern? The Austrian banking situation vis a vis East European loans is “fairly good?” What planet is Dominique Strauss-Kahn living on? It’s perhaps time for a little financial history, which the Austrian and European political establishment seems to have forgotten. Does anyone still remember the collapse of the Credit-Anstalt? Created in 1855, with links to the Austro-Hungarian nobility and Rothschild banking family, Credit-Anstalt was the world’s first investment bank. It was the catalyst of many of the most important infrastructure projects in the last decades of existence of the Habsburg Empire. In the years after World War I, this Austrian bank engaged in major speculation throughout Europe, giving all the appearances of being a highly profitable financial institution. Even after the stock market crash on Wall Street in 1929, Credit-Anstalt sought to conduct business as usual, though the economic contraction that followed the 1929 crash transformed a growing proportion of its balance sheet into non-performing assets. When the bubble burst on May 11, 1931, it sent shock waves throughout the world’s financial system. Contrary to public perception, the Wall Street Crash of 1929 was not the major catastrophe of the Great Depression; it was merely the precipitating event. In fact it was the bankruptcy of Credit-Anstalt in 1931 that made the Depression truly global, and crippled banks throughout Europe and North America. The resulting run on banks throughout the world, with numerous banking failures, was the catalyst that accelerated the rise in global unemployment. When Franklin Roosevelt assumed the U.S. presidency in 1933, his first major task was to attend to the deplorable state of U.S. banking. That reality was at least in part attributable to a chain reaction of financial failures that stemmed from the insolvency of Credit-Anstalt. Now we are in 2009, with the subprime mortgage securities debacle having been the underlying cause of the state of insolvency afflicting America’s largest banks. The U.S. government, including Congress, Treasury and the Fed, have injected or issued backstop guarantees to the tune of $13 trillion, in a frantic effort aimed at keeping these zombie financial institutions artificially alive. Yet, in this truly global economic and financial crisis, events in other parts of the world may render mute and futile all the trillions of dollars the U.S. is borrowing to save the American and global financial system. As in 1931, it may well be the Austrian banking sector that is the final nail in the coffin of the current globalized financial order. With the fall of communism, former East Bloc European states were encouraged to borrow heavily by their Western brethren, with Austrian banks leading the way. Governments in Eastern Europe borrowed massively to finance the modernization of their industries, with the goal of providing lower-cost industrial goods and commodities to consumers throughout Western Europe. In addition, consumers in Eastern Europe were encouraged to borrow money in Euro currency at low interest rates for homes and consumer durables. When the Global Economic Crisis hit Europe, demand destruction afflicted the highly leveraged new industrial plants in Eastern Europe. In addition, the consumers who unwisely borrowed money from Western banks in Euros were devastated by the collapse of their home currencies. A new housing crisis has arisen in lands as diverse as Hungary, Bulgaria and Romania. The non-performing assets on the balance sheets of European banks are enormous, and have affected many countries throughout the Eurozone. However, in terms of percentage of toxic assets to GDP, no European state is in as precarious a state as Austria. More than $250 billion in bad assets are poisoning the balance sheets of Austrian banks, a sum equal to more than 62% of the nation’s GDP. By way of comparison, if the admittedly shaky U.S. banks held toxic assets in the same ratio to GDP, this would equal $8.7 trillion dollars in bad assets. If America’s banking disaster was on the same scale as Austria’s, it would require a dozen TARP programs to cover the holes on the balance sheets. Is another Credit-Anstalt catastrophe in the works? The macroeconomic data emerging from Europe looks increasingly gloomy. In addition, the European Union is proving to be both disunited and uncoordinated in facing up to mounting evidence of a financial avalanche that may bury the Union and everything else with it, including the common currency. Policymakers throughout Europe are arguing over Eastern European stabilization funds, protectionism versus “free trade,” and other issues, both real and distractions, while the financial underpinning of the entire European economic system is ablaze. Just as Iceland was the first nation to become nationally insolvent due to bank failures stemming from the Global Economic Crisis, Austria may be fated to endure a similar disastrous outcome. Should Austria’s banks fail as spectacularly as did the Credit-Anstalt back in 1931, the impact on the world’s financial and economic order will be at least as catastrophic and likely much worse. It is indeed timely for Paul Krugman to state the obvious regarding the looming Austrian banking crisis, irrespective of the indignation pouring out of Vienna. Will 2009 prove to be 1931 redux? The indicators favor the pessimists far more than the optimists. Nobel Prize winning economist Paul Krugman has issued a sober warning, which hopefully will not be drowned out by the hyperbole of reality-denying European politicians. In scientific terms, toxins are regarded as compounds that, if ingested in small quantities, can cause severe organic damage and even death. There are in the natural world, however, compounds which in small quantities are harmless; taken in large doses the same compounds can prove lethal. Such is the case with financial toxicity. Our modern financial system is the creation of fallible human being, meaning there will be encountered in any modern economy a certain degree of mischievous speculation, outright fraud and chicanery. Often these activities lead to the creation of asset bubbles. If the proportion of inflated or fraudulent assets is a trivial proportion of the gross aggregate assets held by the major institutions in the financial system, the damage can be contained. However, when asset bubbles constitute a significant proportion of the paper wealth of a major economy and then deflate, they become toxic in the truest sense of the term. With our current Global Economic Crisis, it is the size of these deflating assets that contributes to their toxicity. However, their impact on the global credit system is virtually identical to that of chemical toxins on biological mechanisms; they are the penultimate monkey wrench that jams up the whole works. The toxic assets sitting on the balance sheets of financial institutions throughout the world have paralyzed the economic heart of the global economy, starving it of the blood and oxygen of normal flows of credit. The result has been economic paralysis more severe than anything experienced since the Great Depression. However, instead of an antidote, or at least a well conceived therapeutic response, U.S. Treasury Secretary Timothy Geithner has offered up more toxicity. Perhaps toxicology is too clinical for the Wall Street clique that has dominated policy making in Washington as it applies to the economy. By training and experience Geithner is a creature of Wall Street, and has proposed a solution to the disease of toxic assets that is nothing more than the original brainchild of former Treasury Secretary Hank Paulson. Yet, even Paulson retreated from his original idea of buying up the toxic assets on the balance sheets of U.S. banks, choosing instead to purchase equity in these institutions, an approach that was just as ill conceived. There are many weaknesses to the Geithner plan, not the least being that it is simply Paulson redux. It pretends that U.S. banks are essentially healthy except for the fact these toxic assets are not really toxic but are in fact “under-valued” by the market. Accordingly, Geithner wants to use taxpayer money to re-inflate the value of these assets, by encouraging private investors to buy them through auctions, thus bidding up their price. This will be accomplished by Treasury using the balance of the TARP money, $75-100 billion, to match private investors direct stake in the purchase of such assets, and then provide cheap loans to the private investors through the Federal Reserve and FDIC to buy up to $1 trillion of the toxic assets. The private investors will only risk the small proportion of their own capital being utilized in the transactions, as the U.S. taxpayer loans will be “secured” by these same toxic assets, which will be the collateral. Rather than toxicology, Geithner is resorting to folktales and alchemy in providing this witches brew of a curative. The Geithner plan is not only bad in terms of its philosophy; have the taxpayers take almost all the risks, with the private investors subsidized to the tune of nearly a trillion dollars, while these same investors are assured of the great bulk of any upside. There is an even more fundamental problem. Most of the U.S. banking system, and much of Europe’s, is effectively insolvent. Other than radical surgery, which recognizes that maintaining on life support zombie banks can only prolong the Global Economic Crisis, any other solution is doomed to failure. Geithner is proposing to place U.S. taxpayers at severe risk, by in effect borrowing money to purchase these toxic assets on behalf of hedge funds and other private investors. Yet, as massive a sum as Geithner’s plan envisions, it is not nearly adequate towards addressing the full dimensions of the problem. NYU economics professor Nouriel Roubini has estimated that the U.S. financial system is sitting on $3.6 trillion of bad assets. A leaked document from the European Commission assesses that banks across Europe hold up to $24 trillion in bad assets, suggesting that even Roubini’s gloomy analysis may be unduly optimistic. It is already clear that the banking system in the United Kingdom is comatose. Yet, Geithner asks that we suspend disbelief, accept that the U.S. financial system’s toxic asset exposure is limited to $1 trillion, and we should allow the private sector to do its thing, subsidized by the American taxpayers. Far from being thoughtful, insightful and analytical, Timothy Geithner offers a dish of warmed-over free market cliches and Hank Paulson inanities, avoiding at all costs even a hint of bank nationalization and radical financial surgery. Unfortunately, hocus-pocus is exactly what has been proposed by Geithner, to the delight of Wall Street. It will prove as effective an antidote to our economic and financial crisis as the toxins injected through the fangs of a cobra. At first, many politicians and key economists and financial “experts” refused to use the “R” for recession word, as the housing price collapse in the United States unleashed the eruption of the sub-prime mortgage asset bubble. One could look back at the utterances of former U.S. Treasury Secretary Hank Paulson and his collaborator, Fed Chairman Bernanke, of less than a year ago. Amid mounting indicators of impending systemic financial failure, they were still boasting that their “aggressive” tactics were containing the economic fallout resulting from the sub-prime implosion, ensuring not only the avoidance of a recession but the continuation of economic growth, albeit on a more modest scale. The Global Economic Crisis was the furthest thing from their collective minds. That was then. But this is now. No longer is the recession terminology hidden; it is conceded in the highest circles as a global disaster, requiring unimagined sums of money to save the financial system while also saving jobs being eliminated by the global recession. However, as with the earlier denial on use of the recession terminology, there is an unwillingness to employ the “D” word for depression, as in a replication of the Great Depression of the 1930s. It is not only those who were myopic a year ago that want to avoid talk of a depression, at all costs. Even the most prescient analysts and experts have held back on their vocabulary in defining the Global Economic Crisis. However, more and more credible economists and experts have begun describing our current economic catastrophe as a depression. The Economist magazine was one such authority, as was the most recent recipient for the Nobel Prize for economics, Paul Krugman. As clear-cut as Nouriel Roubini has been in assessing the Global Economic Crisis, even he has been reluctant to use the “D” word. Now, however, he is warning that the worldwide economic crisis will get much worse, and in the absence of effective global intervention that is coherent and synchronized, a “near depression” was a serious possibility. 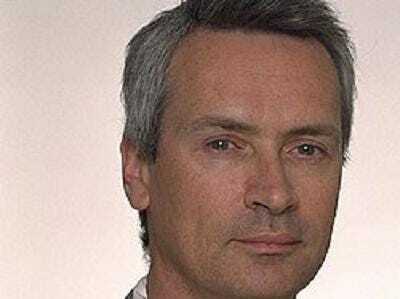 His most recent warning comes in conjunction with his current assessment of the losses he projects for the global financial system due to “toxic assets,” in the range of $3.6 trillion. His conclusion is chilling in the extreme: the banking system in the U.S. is effectively insolvent. Added to the mounting evidence of banking insolvency, not only in the United States but other major economies, in particular the U.K., are the horrendous unemployment numbers. The U.S. Labor Department has released its statistics on job losses for January of this year, indicating that another 600,000 Americans joined the ranks of the unemployed. This translates into an official unemployment rate of 7.6%. However, in reality, the situation is far worse than those numbers indicate. In the first place, the Labor Department’s monthly reports are never complete, owing to lagging tabulations from small firms and businesses. This is reflected in that the current report revised substantially higher the unemployment numbers for November and December of 2008. In all probability, more than 700,000 Americans were terminated in January, with every indication that this trend will continue far into 2009. In addition, the official unemployment rate, since the 1960s, subtracts “discouraged” workers, meaning the permanently unemployed, as well as part-time workers unable to find full-time employment. If these numbers are added into the unemployment figure, it exceeds 14%. At its worst level, the unemployment rate in the U.S. during the Great Depression stood at 25%. After the advent of the New Deal of President Franklin Roosevelt, it temporally declined to near 10%, but then rose to a much higher level, reaching the range of 16-17% prior World War II. Accordingly, a true current unemployment rate of 14% is within the levels experienced by the United States during the 1930s. Factor in the structural insolvency of the American banking sector, the rampant demand destruction infecting the global economy and other catastrophic asset bubbles set to burst during the next several months, and it becomes clear that the United States and the rest of the world have now entered a dark economic territory that can no longer be defined as merely a recession. The Global Economic Crisis has now achieved levels of economic contraction in all major indices that can only be described as a depression of worldwide dimensions. 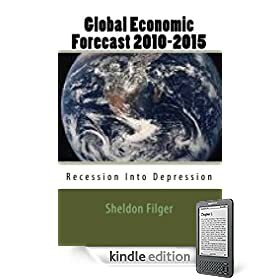 The global depression train has left the station, and will bring a level of economic and financial carnage to every corner of our world on a scale so staggering, it would have been unimaginable to even the most sober pessimists-until recently.